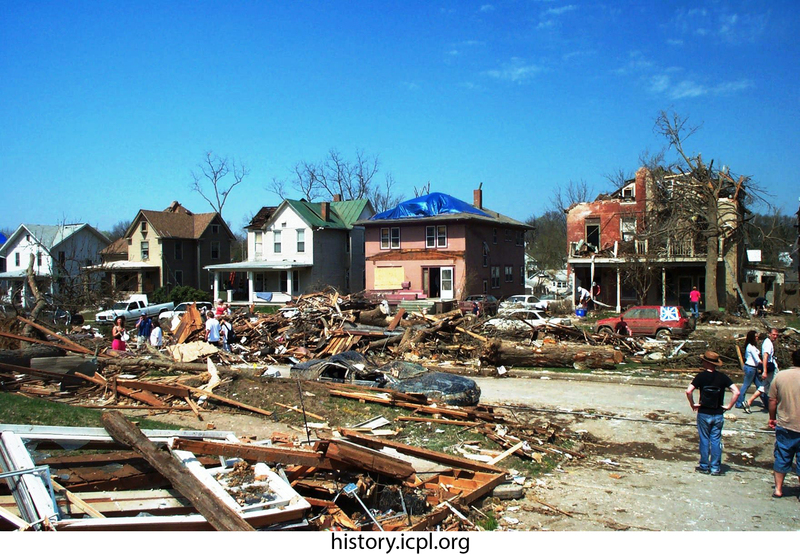 Houses and buildings were severely damaged along Iowa Avenue. Large trees, downed power lines, and other debris littered the ground. City of Iowa City, “Onlookers on Iowa Avenue,” Iowa City Public Library, accessed April 19, 2019, http://history.icpl.org/items/show/2642.